Do you have your July 4th outfit planned? We seldom decide what to do (for anything, ever) until the last minute, but whatever we do, I know I’ll be showing some patriotic holiday spirit with a red, white, and blue look. I thought I’d give you (and myself) a few outfit ideas, because the fun day is just around the corner, Ladies! 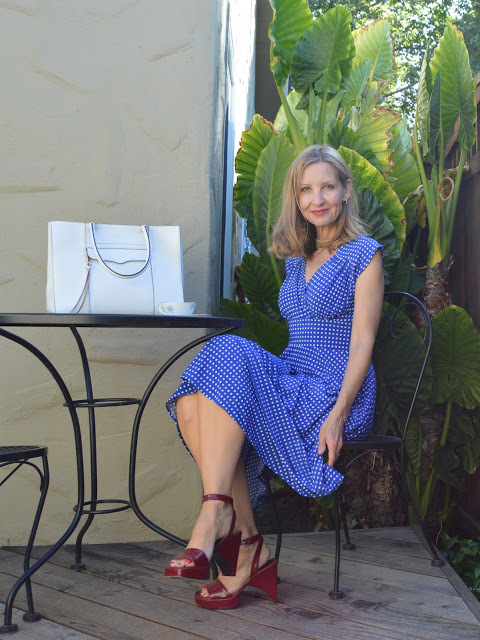 Here’s a pic of me rocking my Karina “Nora” dress in cobalt with white polka dots, red shoes, and a white bag. This would be perfect for a July 4th party! ETA: This just in: Karina is having a July 4th sale. Use the code USAMADE for 25% off … sitewide! and the year before …. Time to change it up a bit, right?! And of course you don’t need to be in the US to celebrate! Sport some red, white, and blue and just join the fun! Great 4th of july looks, I thrifted a fun flag vest to wear with a tank top and will have to bring it out for a new pairing this year. I am so late but I haven't even thought about what I'm wearing yet! You're giving me some ideas! Loving this inspo! So many perfect looks for the 4th! Love the purse, tennies and jeans outfit!!! That is a pretty dress! I try to remember to also wear something in that styleon the 4th! Although I live in the Netherlands! Lol? Great options, you look great! I have no idea what I will wear on the 4th of July. 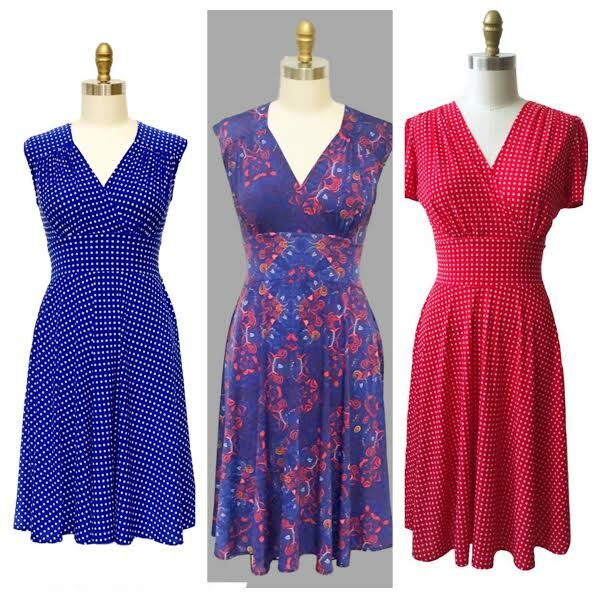 Dang, those Karina dresses are cute! I have got to get myself one. They look so 1940ish and comfortable as well. Funny that you had almost the same thing on the last two years!! I'm going with my blue dress—it'll be cooler than jeans! You look lovely! Love that Karina dress. I commented earlier, but I am going to wear one of my Karina dresses as well. They looks great on you.